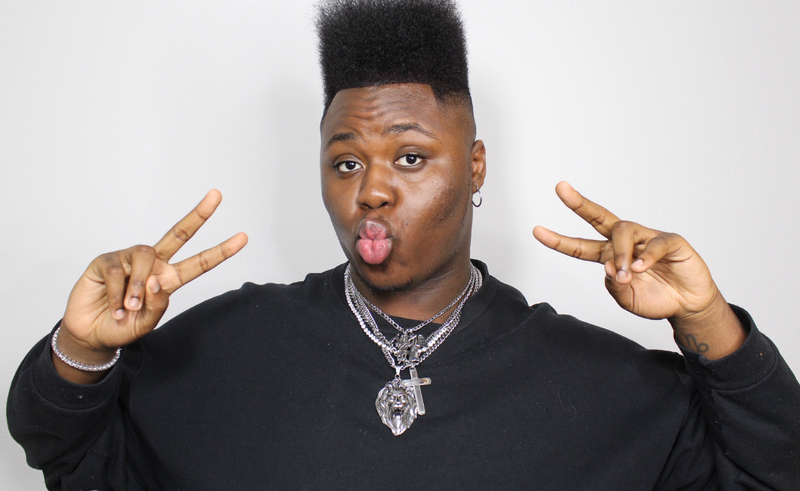 YouTuber Denzel Dion has opinions about everything from the latest red carpet looks to Disney channel conspiracy theories to celebrities being rude — and he’s not shy about sharing them. That tendency to say what he means and mean what he says is exactly why his subscribers, who now number more than a million, tune in to his videos. Dion, who’s 21 and from the Bronx, New York, got his start (like a number of other successful YouTubers) on the now-shuttered shortform video app Vine. After it went kaput in 2016, he bumped over to YouTube, where he started his channel with “story time” videos, sharing humorous and occasionally tough stories about his life. Nowadays, Dion’s carved himself a personal brand that wraps in critiquing the latest awards show looks, judging popular trends, and mukbanging. Check out our chat with him below about what sets his channel apart, what he hopes his content brings to subscribers, and what the future holds for him on YouTube. DD: It feels so great to hit one million subscribers. I would’ve never thought that I’d come this far. What I have to say to my fans is thank you, thank you, and THANK YOU!! I am so grateful for you guys. Tubefilter: Fans know you have a whip-smart fashion sense. How did you get into fashion? DD: I wouldn’t say I got into fashion, due to the fact that the fashion world is another realm. I just know what looks good together and what doesn’t. Tubefilter: What made you decide to join YouTube? Were there any creators you watched who inspired you to become a YouTuber yourself? DD: I decided to join YouTube because Vine was getting old and repetitive, and most importantly, I wanted to challenge myself to make longer, high-quality videos. Tubefilter: Many of your very first YouTube videos were story time videos. What made you decide to take that direction with your content, and how has your content evolved to where it is today? Do you think it’s changed much? DD: In the beginning, I didn’t really know what to make on YouTube, since all my content on previous platforms was skits. During that time, story times were a ”thing,” so I thought to myself, I have stories, so why not tell them? My content has totally evolved today — now I’m sort of a red carpet critic, and I talk about my unpopular opinions, and so on. I feel like it’s changed a lot. I don’t make story times as often or hop on silly trends like making slime. DD: What makes my voice stand out on YouTube is my honesty, I give it to you straight, NO CHASER. Tubefilter: What can viewers count on seeing if they tune into a Denzel Dion video? DD: Authenticity, laughter, honesty, and more laughter. DD: YouTube is my part-time job. In my daily life, I’m working on acting, building my clothing line, and most importantly, my brand as a whole. DD: I noticed my channel started to pick up subscribers when I hopped on a trend and put my own twist to it. I grew that audience by making original content, such as my best and worst series and my driving videos. DD: My favorite part of making content on YouTube is seeing that what I create actually brightens up people’s days, makes them laugh and feel better about themselves. I’m all about self-confidence and being yourself, and I try to promote that in every video I upload. DD: To be honest, I don’t know. All I know is that this year and the following years ahead, my content will get better and better. It’s only up from here. You can add yourself to the ranks of Dion’s more-than-a-million YouTube subscribers at his channel YouTube.com/DenzelDion.